Electric scooters motorized bicycles .com is a wholesaler and reseller of of high quality electric products including rc electric helicopters and electric airplanes. The Transmitter is set to MODE 2 ( Most common USA setting) Left thumb throttle . This will alow your computer to see your transmitter . It is a very common and free software . If you need parts for your ESKY Product please e mail or call . Satisfaction guarantee / If you are not completely satisfied, just return the unused airplane within 7 days. We do not refund used airplanes. We do charge a 25 dollar return fee to cover our shipping and ebay costs. There are no refunds or exchanges unless the product has never been flown or damaged. It must also be in the original box. 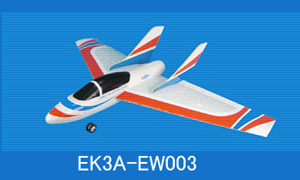 These are New in the box / We love these airplanes. Please - Get proper supervision before flying . These are not toys - They are very dangerous. Your item will be shipped within 2 working days after your payment. Please email us if you have not received your item within 7 days after your payment . We do carry most of the parts for all ESKY products. Please e mail if you need any extra parts. If you do not agree with our terms, please do not buy. Have fun flying and good luck.